We, Solarwell-specialists in solar power systems (domestic/industrial), solar submersible/Boost pumps, solar potable lightings, Solar Lantern, Solar Road/Street Lights, Solar Garden Lights, Solar AC's, Solar Geyser, etc. 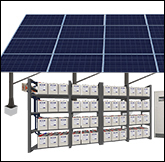 Solarwell, offers professional services in provision and installation of imported solar products as well as designing of custom-made systems. Solarwell with foreign collaborations is backed-up by highly experienced and technical staff for after sale. We "SOLARWELL" is the subsidiary of Rockwell Group (established since 1966) registered as an Exclusive Entity for Alternate Renewable Energy / Solar Energy products and projects in Pakistan. We are pre-qualified and registered company by AEDB (Alternative Energy Development Board Islamabad) (copy attached). 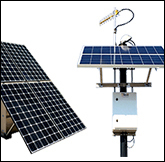 By the grace of GOD, our R&D division is capable to design custom-made solar systems and have designed and produced solar road lights, garden lights, flood lights, solar stills, converter/inverter, charge controller and power systems etc. Our objective is to accomplish our goals, to deliver our services as per our Quality Policy, and execute the jobs in a professional manner. We are attracted to procure challenging/short notice jobs having exposure to the international standards. 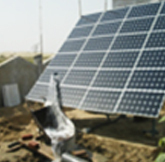 The solar technology is very much established in the world and there is no question about its technical viability. The increased use of electricity has made it even more viable and a necessity, as the electricity is getting expensive day by day. The importance of developing solar energy as an alternative energy source for sun-friendly country like Pakistan where sun shines for over 300 days a year could hardly be over-emphasized. 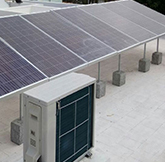 Pakistan has an ideal climate to generate solar energy, besides abundance of sunny days the intensity of solar radiation is also much high - roughly 500 watts per square meter at the ground level. This huge solar energy potential is waiting to be exploited. 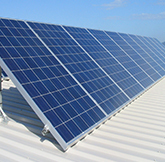 Solarwell specializes in engineering projects related to alternate and renewable energies. Solarwell has developed Innovative Lighting Solutions powered by Solar Energy. All lights are LED based. 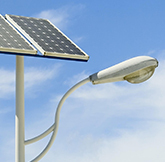 Solar lights are generally considered to be dull, less luminous and less sparking. However ultra bright LED's used in Solarwell's products a better design of integration produces, comparable light almost similar to that of conventional lights.